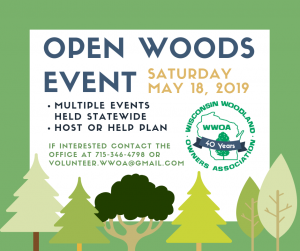 Celebrate 40 Years of WWOA – Attend an Open Woods Event near you! Help WWOA celebrate 40 years of assisting and educating Wisconsin’s private woodland owners! 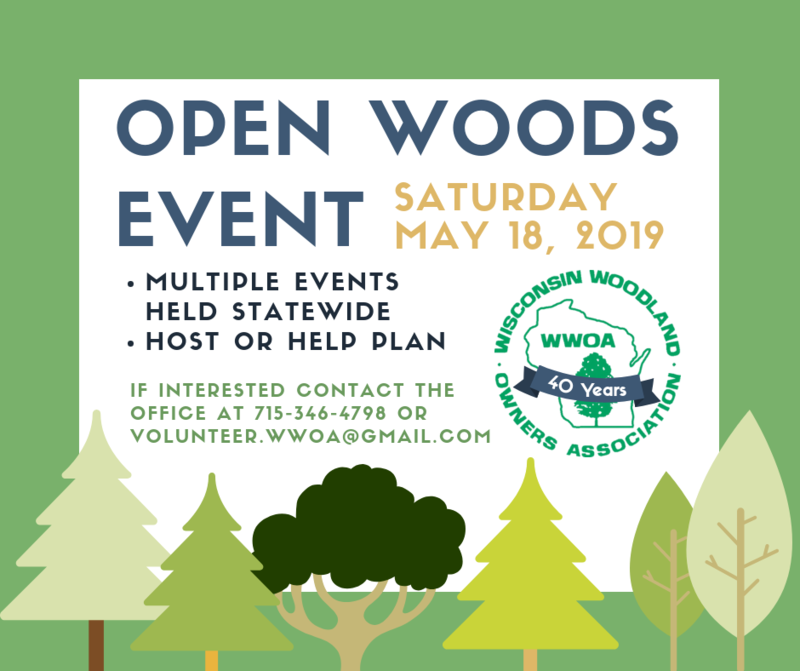 On May 18, 2019 we will be hosting Open Woods events statewide. Events will happen simultaneously in as many counties as possible throughout Wisconsin. Check out our special Open Woods Event page for more details on attending an event near you! Each event in the separate counties has different activities tailored to their property, but they will all be fun and family friendly!